Help! I’m Losing My Faith in the Bible. You should know by now that we are in our series on the Life of Christ from all four gospels and this morning I’m preaching a message titled “HELP! I’M LOSING MY FAITH IN THE BIBLE.” Instead of just one passage, we will be reading two passages – one from John 2 and the other from Matthew 21; one from the beginning of Jesus’ ministry and the other towards the end of Jesus’ ministry. When we read them, you will notice that they are both describing how Jesus cleansed the temple in Jerusalem from the money changers and their animals. John 2 11 This beginning of signs Jesus did in Cana of Galilee, and manifested His glory; and His disciples believed in Him. 12 After this He went down to Capernaum, He, His mother, His brothers, and His disciples; and they did not stay there many days. 13 Now the Passover of the Jews was at hand, and Jesus went up to Jerusalem. 14 And He found in the temple those who sold oxen and sheep and doves, and the money changers doing business. 15 When He had made a whip of cords, He drove them all out of the temple, with the sheep and the oxen, and poured out the changers’ money and overturned the tables. Matt. 21 9 Then the multitudes who went before and those who followed cried out, saying: “Hosanna to the Son of David! ‘Blessed is He who comes in the name of the LORD!’ Hosanna in the highest!” 10 And when He had come into Jerusalem, all the city was moved, saying, “Who is this?” 11 So the multitudes said, “This is Jesus, the prophet from Nazareth of Galilee.” 12 Then Jesus went into the temple of God and drove out all those who bought and sold in the temple, and overturned the tables of the money changers and the seats of those who sold doves. Overall Background: Lately I’ve heard (more times than I would like to count) about another young man or woman who has given up on Christianity and turned to atheism or agnosticism. Let me give you a recent example – In January 2015 an article made news. It was written by someone named George Perdikis who called himself the cofounder of the Christian group Newsboys. In this article he wrote about how he had become an atheist. Just last week I heard that one of my good friends who inspired me to do a PhD died. He was one of the smartest men I knew and very knowledgeable about the Bible, history, and philosophy. I have books in my library on apologetics that he helped write. But that’s not the sad part because he is with Jesus right now. The sad part is that two of his oldest children have nothing to do with God and one of them is an atheist. I wasn’t able to sleep that night, not because my friend had died, but because of where his kids are today. Maybe they were never truly saved. Maybe they were holding onto rules and regulations rather than faith in Jesus. Maybe they were never truly grounded in God’s Word. They are like the ones who received the seed that fell on stony places – heard the word and immediately received it with joy but since there was no root, they only endured for a while. For when tribulation or persecution came because of the word, they immediately stumbled. Meaning: We did a poor job in grounding our young people in the word of God. I often ask God what is my task as the pastor. Is it just to get up and give a three-point sermon on how to do better at something? Is it just to help people understand and apply the Bible? Is it just to lead us as a church to win the lost and grow? Or, is it more? The Holy Spirit pointed me to Titus 1:9 where Paul is giving the requirements of a pastor –holding fast the faithful word as he has been taught, that he may be able, by sound doctrine, both to exhort and convict those who contradict. Meaning: I need to hold fast to the faithful word the Bible and exhort others to do the same and convict those who contradict it. Now, I’m not suggesting that we need to spend our whole time defending the Bible. As Charles Spurgeon said to the meeting of the British and Foreign Bible Society in 1875 – “Open the door and let the lion out; he will take care of himself.” No, we don’t need to spend our whole time defending the authority of the Bible but we do have a mandate to teach our children to hold fast to the faithful word. If we don’t, our young people will very well succumb to the idle talkers and deceivers. This morning I only want to focus on the claim that “I cannot be a Christian anymore because there are contradictions in the Bible.” We don’t have time to look at every alleged contradiction in the Bible but we’ll look at one. We read two passages this morning, one from John 2 and the other from Matthew 21. Some people consider them to be a contradiction. Both passages describe the event when Jesus came to the Temple, was appalled by the desecration of the moneychangers and their animals, and he made a whip of cords and drove them out. The problem comes in because Matthew 21 and also Mark 11 and Luke 19 mention the incident in the last week of Jesus’ ministry. In fact, after He rode into Jerusalem on a donkey (which we call Palm Sunday) that he went into the temple and began to clean it. On the other hand, John 2 mentions the incident at the beginning of his ministry, right after the wedding in Cana of Galilee, which was the beginning of signs. How could that be? Some people have taken this example to claim that the Bible has errors. If that’s the case then it’s no longer the Word of God. If it’s no longer the Word of God, then it’s no longer binding on our lives. If it’s no longer binding on our lives, then it’s no different than other “holy books” of other religions. In other words, Christianity is one among many ways to God. Some Christians have tried to defend the Bible by claiming that Jesus actually cleansed the Temple two times – one in the beginning of his ministry and again towards the end of his ministry. The problem with this view is that there are too many similarities between the two incidents to be anything but the same incident. Also, if there were two different incidents, John could have mentioned it again in chapter 12 when he talks about Jesus coming into Jerusalem riding on the donkey but he doesn’t. Positive not negative – Some people claim that the church has manipulated and corrupted the Bible. If I we’re trying to make the Bible look like God’s Word, this is one passage that I would definitely fix. This proves that people did not try to mend the Bible as is often claimed. It also proves that if people did not try to mend it then it must not have been a problem. We might have a problem with it but the early readers did not. Did you notice the word “signs?” Signs are more than just miracles. They are pointers towards the most critical week – the Passion Week. Are you saved? I think we made our case that the Bible doesn’t contradict. But please don’t misunderstand, this doesn’t mean that we need to answer every contradiction before you can become a Christian. If that’s the case, then you’ll never give your heart to Jesus. Do you know that the Bible is unlike any book in the world? Are you allowing the Bible to be translated into your life? Are you passing along the Bible to your children and grandchildren? Last Sunday I preached on removing excuses to getting saved. This morning I’m preaching on “REMOVING OBSTACLES TO GETTING SAVED” from Acts 24. There is a big difference between excuses and obstacles. Excuses are fake and God hates them. Obstacles are genuine questions about the gospel and the Holy Spirit wants to help us with them. Acts 24:24-27 24 And after some days, when Felix came with his wife Drusilla, who was Jewish, he sent for Paul and heard him concerning the faith in Christ. 25 Now as he reasoned about righteousness, self-control, and the judgment to come, Felix was afraid and answered, “Go away for now; when I have a convenient time I will call for you.” 26 Meanwhile he also hoped that money would be given him by Paul, that he might release him. Therefore he sent for him more often and conversed with him. 27 But after two years Porcius Festus succeeded Felix; and Felix, wanting to do the Jews a favor, left Paul bound. 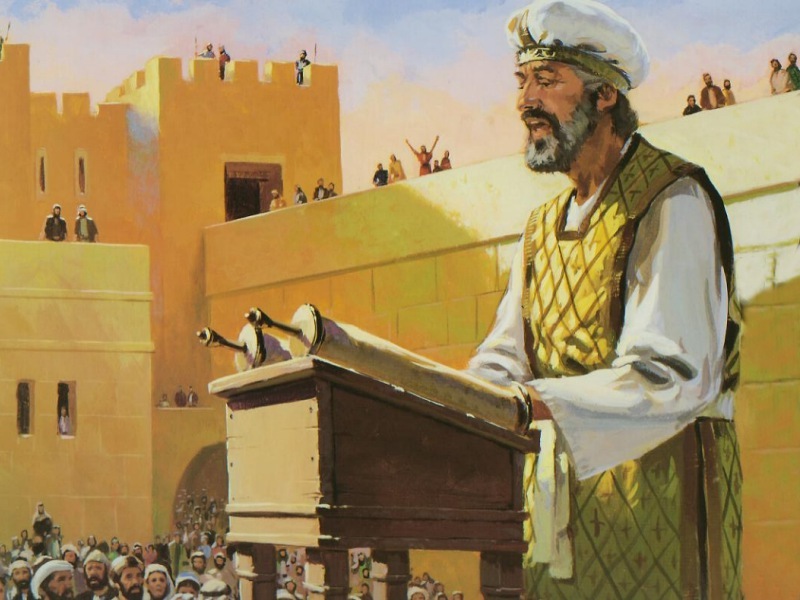 Overall Background: In Acts 23 Paul had been accused of causing trouble in Jerusalem and profaning the temple. To make matters worse, word was out that 40 Jewish men had taken a vow not to eat or drink until they had killed Paul. Because Paul was a Roman citizen, he was brought to Caesarea to be tried before Felix the Governor. Paul was a man who believed that every situation was an opportunity to present the gospel. Instead of getting scared or becoming frustrated, he began to witness to Felix and, initially, it moved Felix. In fact, Felix even brought his wife Drusilla, a Jewish woman, to hear Paul. Sadly, many Christians are not prepared to give reasons for the gospel. Tragically, many people are lost because someone failed to remove the obstacles for them to be saved. Application: This morning, if you are lost, the Holy Spirit wants to remove some obstacles so you can be saved. Listen to His voice with an open heart and an open mind. If you are saved, let this be a learning opportunity for you. Learn to give reasons for the hope that is in you. OBSTACLE #1 – WHY SHOULD I TRUST THE BIBLE IF THE BIBLE HAS MISTAKES? In Mark 2:26 Jesus mentioned the incident where David was running from Saul. He said that David “went into the house of God in the days of Abiathar the high priest…” Only problem, when you look back in the Old Testament to I Samuel 21:1, the name of the High Priest in not Abiathar but Ahimelech. Hence, some people have claimed that not only the Bible has mistakes but also Jesus made a mistake. What do you do with that? Abiathar was Ahimelech’s son, who became the high priest after Saul killed Ahimelech and the rest of his family. 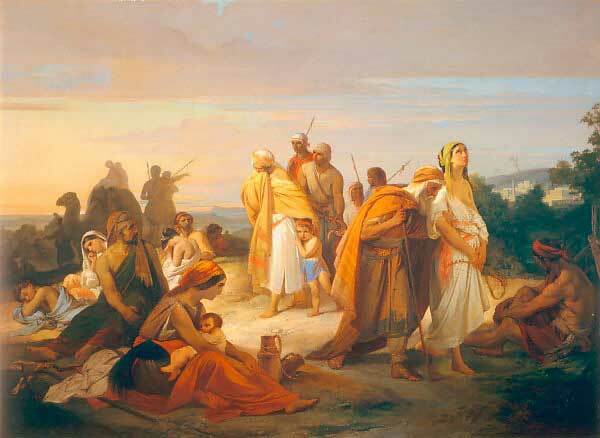 Abiathar was the only one who escaped. Listen again to how Jesus said it – in the days of Abiathar the high priest…” It means when Abiathar was living not when he was the High Priest. By the way, the larger section of the scroll was identified by the name Abiathar. In Mark 6:45 it says, “Immediately He (Jesus) made His disciples get into the boat and go before Him to the other side, to Bethsaida…” Only problem – in John 6:17 the disciples “got into the boat, and went over the sea toward Capernaum.” Was it Bethsaida or Capernaum? If the disciples were sailing from the east side of the Sea of Galilee, both Bethsaida and Capernaum were towards the North and Northwest. For e.g. Driving towards Charlotte on I-85, there are signs that say “To Atlanta.” I don’t want to go to Atlanta but what the sign is saying is that we are headed south in the direction of Atlanta. I can go on and on. At one time Bible critics used to claim that there were no such people called the Hittites (Genesis 15:20; Exodus 3:8, 17; Numbers 13:29; Joshua 1:4; Judges 1:26, etc.). They claimed that the Bible writer made up these mythical peoples. Toward the end of the 19th century, archaeologists uncovered Hittite monuments at Carchemish on the Euphrates River in Syria. In 1906, some more excavations at Boghazkoy in Turkey revealed thousands of Hittite documents. The Hittites were a real people who were powerful and dominated Asia Minor and the Near East. Anytime I hear someone say – “the Bible has errors,” I know that the enemy is working behind the situation. He is using his oldest trick in the book. The very first temptation that Satan used in Genesis 3:1 was “Has God indeed said…” He caused Eve to doubt God’s Word. His tactic has not changed. He is still trying to do that. “How can you be sure that the Bible is God’s Word?” Before you dismiss this book as one riddled with mistakes, examine it carefully and you will find that it has no errors. OBSTACLE #2 – HOW CAN I BE SURE THAT THE BIBLE IS GOD’S WORD? Here’s the answer – The Bible is much more than a historical record and a literary masterpiece. It is a prophetic book. It is full of prophecies that have been fulfilled and prophecies that are waiting to be fulfilled. Human beings can do fortune telling but there is a big difference between prophecy and fortune telling. An example of fortune telling is “A handsome man/woman will come into your life.” Prophecy is exact, precise information that comes to pass in the future. Did you know that there are 1817 prophecies in the Bible – 1239 in the OT and 578 in the NT? 1. There are predictions in the Bible about kings, nations and cities. For e.g. In Ezekiel 26 there is a remarkable prediction that the city of Tyre would be destroyed. The description was given in details. Through a Babylonian king named Nebuchadnezzar and a Greek emperor named Alexander the Great Tyre was destroyed. 2. There are predictions in the Bible about the Jewish people. For e.g. Moses and Hosea predicted that the people of Israel would be driven out of their land because they had disobeyed God. It happened. Then Jeremiah predicted that they would return and they did. 3. There are predictions in the Bible about Jesus Christ. The meaning for “wounded” is “pierced through,” and “bruises” or “stripes” is “blows that cut in.” The Bible prophesied about the Roman crucifixion even before the crucifixion was invented by the Persians. Romans borrowed from the Persians and Rome did not even exist at this time. What is my point? Although, human beings wrote this book, there was a divine hand behind them. 2 Peter 1:21 “for prophecy never came by the will of man, but holy men of God spoke as they were moved by the Holy Spirit.” Before you dismiss this book as a history book or literature book, you need to recognize that it is a heavenly book. III. WHAT IF I TRY TO DO GOOD LIKE THE BIBLE SAYS? Here’s the answer – The Bible does teach us a lot about how to treat our fellow human beings but the Bible is much more than a “do good book.” It is a rescue note. It gives us instructions on how to be saved. Our problem is our sinful nature. Mark 7:15 There is nothing that enters a man from outside which can defile him; but the things which come out of him, those are the things that defile a man. #2 – Jesus came to save us. Romans 5:8-9 8 But God demonstrates His own love toward us, in that while we were still sinners, Christ died for us. 9 Much more then, having now been justified by His blood, we shall be saved from wrath through Him. #3 – We have to make a decision to trust His sacrifice as our only hope. Romans 1:12-13 12 But as many as received Him, to them He gave the right to become children of God, to those who believe in His name: 13 who were born, not of blood, nor of the will of the flesh, nor of the will of man, but of God.